I like to soak the fruits for the Christmas Fruit Cake well in advance and I make my own Candied Ginger and Candied Orange Peel at home. It is very easy to make these and the result is much better and cheaper than the store bought one. 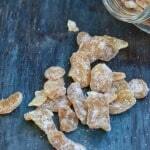 I have already shared the recipe of Candied Orange Peel here. Making Candied Ginger is almost same. 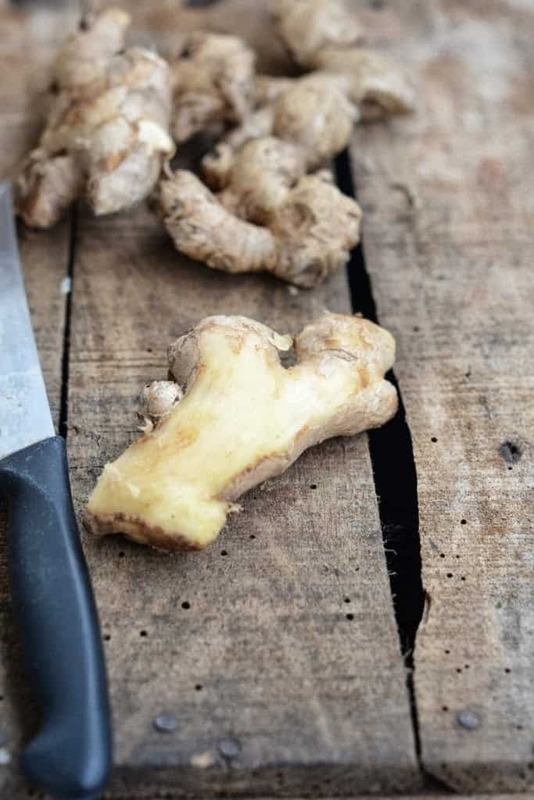 A great remedy for coughs and colds, ginger is a spice that adds much taste to any dishes. Although not often used in sweets and desserts, they do add a hint of spice. 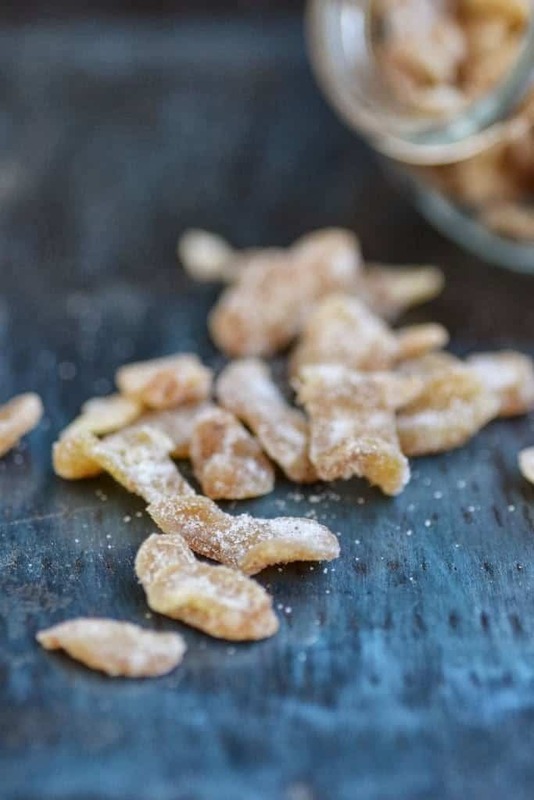 Many Christmas Desserts make use of Candied Ginger, or the spice can be enjoyed as a healthy alternative to sweets and chocolates. Whenever my kiddo falls sick with a cough or cold, a sweet remedy, I make him eat some Candied Ginger. Not only does my sunny boy obey me but even demands for few extra pieces of it. 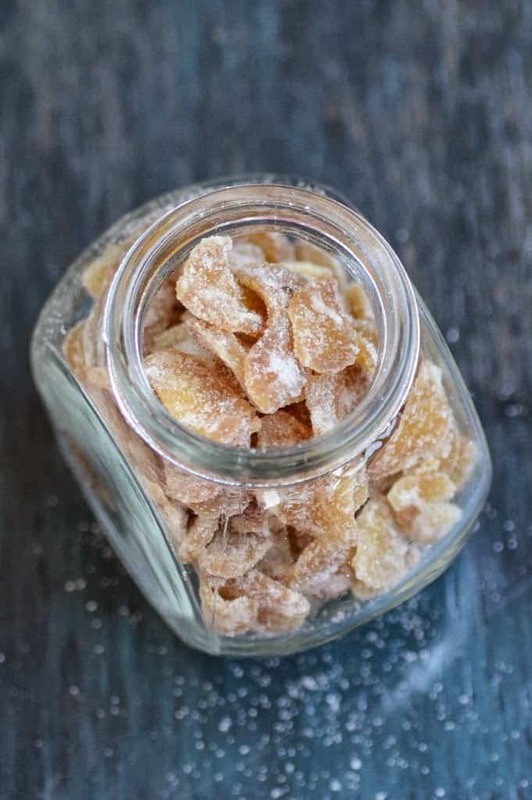 Also, even after meals, because of my sweet tooth, I crave for a sweet munch and that’s when I can rely on the jar of Candied Ginger. Having said that, do note down how I made it. Wash and peel the ginger. Slice it into thin slices. Add the slices in a pan and cover with cold water. Simmer the heat for 2 minutes. Strain and discard the water. Heat 1 cup water and 1 cup sugar in a pan. When it comes to a boil, reduce the heat and let it cook for 5-6 minutes. Cook for 20-30 minutes till the the ginger turns translucent. Do not stir during this process otherwise their will be crystallization. Let the ginger cool for 2 minutes. 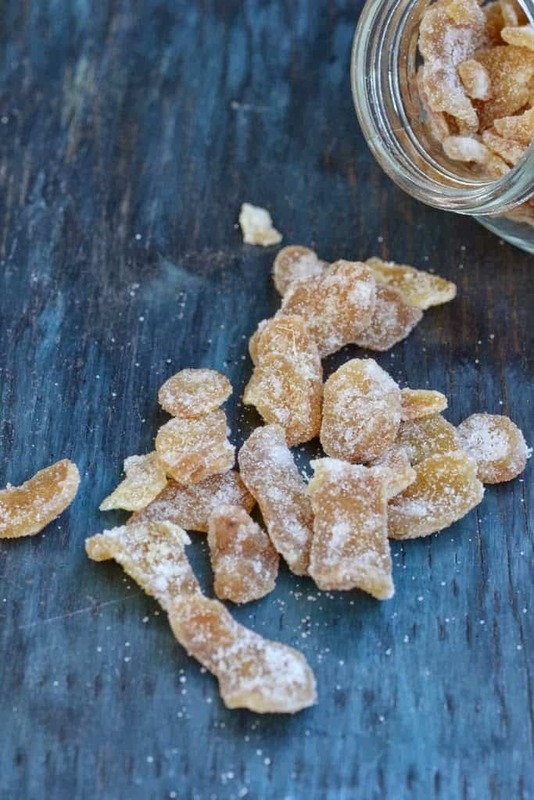 Roll the crystallized ginger in castor sugar. Arrange on a wire rack and let dry for 6-8 hours. They look awesome Neha, I am so gonna try this!